The most brutal original Death Metal band in your Humanz world does it again. New Cannibal Corpse is blood-soaked in guitar solos, the cannibal blast, and Corpsegrinder’s (“usses Orc’s biggest fan”) face-melting throat punches, but this record is DARK! 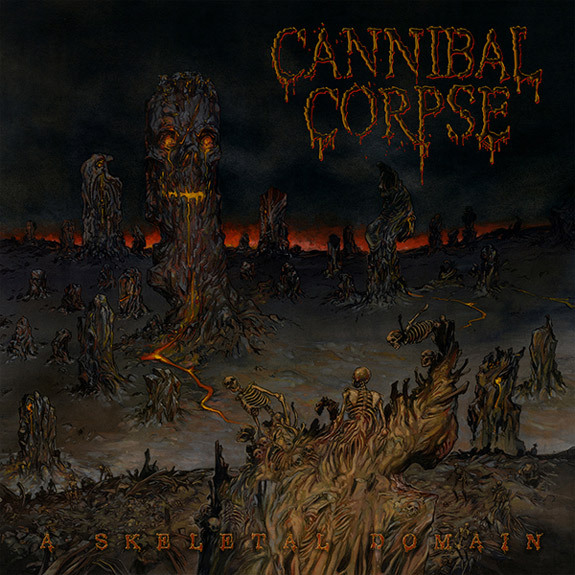 Cannibal Corpse sopped up all the blood up from their previous albums and wrung it out all over A Skeletal Domain. 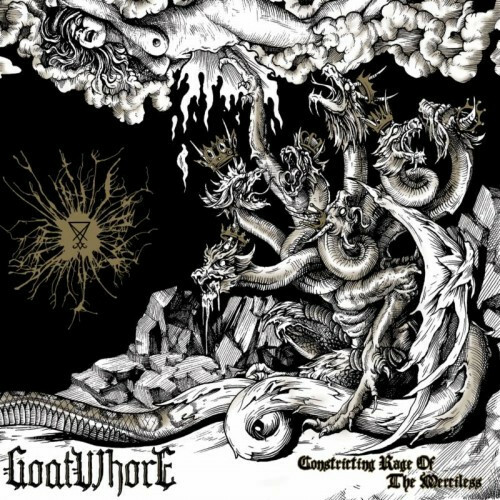 Whereas some bands may change/behead their producer for another Human to get a different sound, Goatwhore gets better and heavier with Eric Rutan. “Killer of all hooks” and “Ough!” Sammy and Ben offer up some tasty tusk smackin’ songs to get your Orc on with, while Zack plows new territory for backbeat on the blast. New Goatwhore rules and if you Humanz think otherwise, Cretos hopes you slug down a bucket of tusk drool. 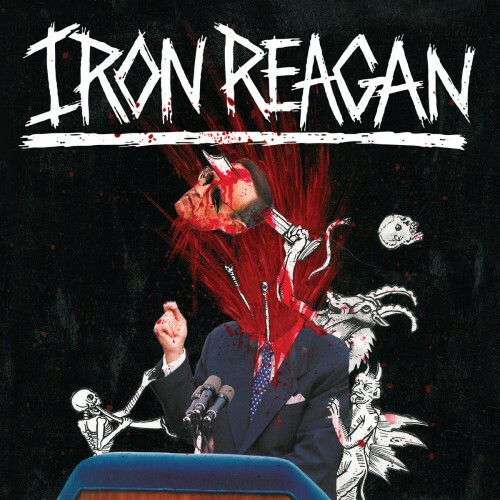 Iron Reagan have been destroying stages all across your Human Northern America, without any breaks this year, and if you haven’t heard of them you must live with your stupid Dark Elves under a rock on some planted test tube study being watched by your Human Government. If that doesn’t make sense, then buy their new album and judge for yourself why Cretos has seen this band almost 50 times and it’s always the razor’s edge of thrash/crossover. Iron Reagan is going to Tusk You Up! 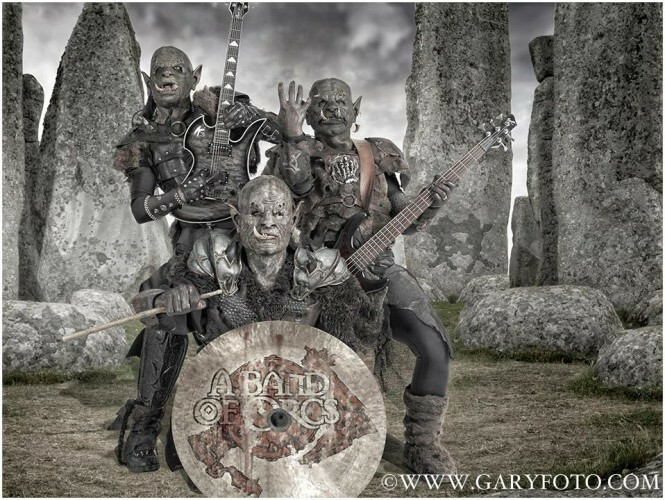 Humanz while you have troubles being un-green and writing to Cretos about how usses Orc’s are your superior overlords for being Green, Cretos knows what you need to solve all your problems. If Animal, Kermit, and Cookie Monster got baked could they make Death Metal? Cretos not know this answer. 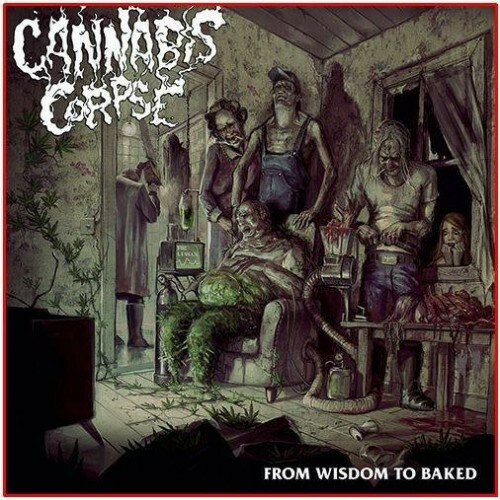 However, I Filthgrinder say to you Humanz… Cannabis Corpse is the only way you can become Green like Cretos. That Triptykon album is one of my favorite albums of the year in any genre. It’s so moody. Giger’s cover sets the tone perfectly, in my opinion. The music sounds like it came from a building in an alien world. A building full of expansive halls and claustrophobic spaces. It somehow mixes the vast with the constricted.